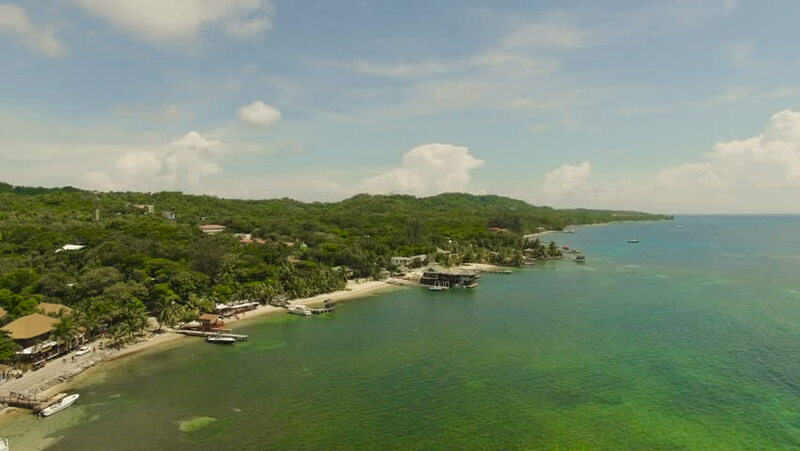 Aerial view of the beaches of RoatÃ¡n in the atlantic coast of Honduras. hd00:20North beach landscape with boats, Great Bird Island, Antigua. 4k00:23Drone footage. Thailand. Koh Phangan island. Haad yuan beach. Top view aerial video of beauty nature landscape with beach, sea and jungle.